This "Megatrends" installment offers six predictions from thought leaders and solution providers who share their inside vision of what trends will drive customer-focused technologies and strategies in 2019. 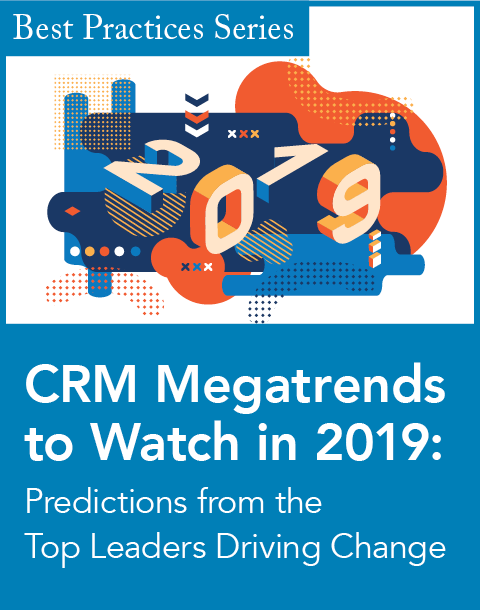 Artificial intelligence, machine learning, robotic process automation, and a renewed role for CRM are the big trends this year. Do these prognostications fit with your personal intuition about what 2019 has in store for the digital transformation of sales, marketing, and especially customer service?